The discovery of purpose is not an event. Unfortunately, you also can’t take a course on “Purpose”. Purpose is not taught, it is discovered. The best anyone can do is point you in the right direction, the rest is up to you! The discovery of purpose is a journey, the fulfilment of purpose is the pinnacle of achievement. This should be your story at the end of your life, that you would have served your generation. “How can I serve my generation?” you ask. You serve your generation by fulfilling your purpose. The scripture above might as well read: “For David, after he had fulfilled his purpose, fell asleep…….”. The will of God for you is your purpose. God has deposited something in you that you are to use to serve your generation. That thing is called purpose. As I mentioned earlier, no one can teach you your purpose, so I won’t deceive you by telling you what your purpose is. BUT, I can point you in the right direction. I will show you the 5 “P’s” that point to purpose. As you walk in the direction I am pointing you in, I believe you will discover your purpose. There are certain things we all feel strongly about, things we are passionate about. These passions are indicators of purpose. They are like clues on a treasure map leading us to the treasure. Take stock of your passions, which direction are they leading you in? Passion, like many things in life has 2 sides to it. There are things we love passionately and then there are things we passionately abhor or hate. Both sides of passion are useful in discovering your purpose. Some people are passionate about animals, it could be their purpose lies in animal welfare. Others have a strong compulsion to help and take care of the sick, they don’t care who it is, they just want to show mercy. It could be an indicator that your purpose is in medicine or some “mercy” related vocation. The things we passionately love are pointers in the direction you should take in life. Purpose is meant to be enjoyed, not tolerated or suffered through. Find your strong passions and you are well on your way to discovering your purpose. There are things in life that we just can’t stand. Let me stop being polite and say it as it is. There are certain things in life we hate with a passion. These things move us to anger, depression or frustration. These are good indicators of your purpose. What you hate, you are meant to correct! People like Nelson Mandela, Rosa Parks, Martin Luther King and many others had a strong, passionate abhorrence for racial injustice and inequality. They just didn’t sit down and complain about it, they acted to change it. They found their purpose in life. What do you hate? What do you wish could be different? You are the one to bring that difference. You are the agent of change your generation is waiting for. There are basically 2 kinds of people in life. Both of these do so based on one thing and one thing alone; PASSION! The wishers wish for something they have a strong desire for, something they are passionate about. The “actors” also take action based on their passions. The wishers never taste fulfilment, satisfaction and true joy in life. The actors on the other hand live a fulfilling, satisfying life. Which of the two are you? You turn your passion into purpose by acting on it. Don’t just be passionate and dream about your passions. Take action! This is where many people miss it. They have strong desires but they never take the necessary steps to see those desires come to pass. Turn your passion into purpose, take action! And it came to pass in those days, when Moses was grown, that he went out unto his brethren, and looked on their burdens: and he spied an Egyptian smiting an Hebrew, one of his brethren. And he looked this way and that way, and when he saw that there was no man, he slew the Egyptian, and hid him in the sand. And when he went out the second day, behold, two men of the Hebrews strove together: and he said to him that did the wrong, Wherefore smitest thou thy fellow? Moses hated injustice of any kind. In the 2 cases mentioned in the above scripture, he acted on his passion. The result? He discovered his purpose; deliverer of Israel. His Purpose was to end oppression in Egypt and bring a justice system in Israel. Purpose never falls in our laps, we take steps to discover it. Why not start today? Start by auditing yourself. What do you love passionately? What do you hate passionately? What are you going to do about it? Purpose: The Fuel For Life! So says a switched-on young man, whom I met today during my cyber travels. His name is Kato Nkhoma and his inspirational words of wisdom kept me happily consuming the well-seasoned meat of his posts. I had meant to stop over for a brief call and then move on to visit other blogs but God had other plans. Sometimes, what you believe to be a random choice, turns out to be a divine appointment. Thank you Father God, for bringing me across this young man’s pathway! Now if you’ve been following my PDA blog for a while, you are aware that I am an advocate for discovering and pursuing your God-given purpose. 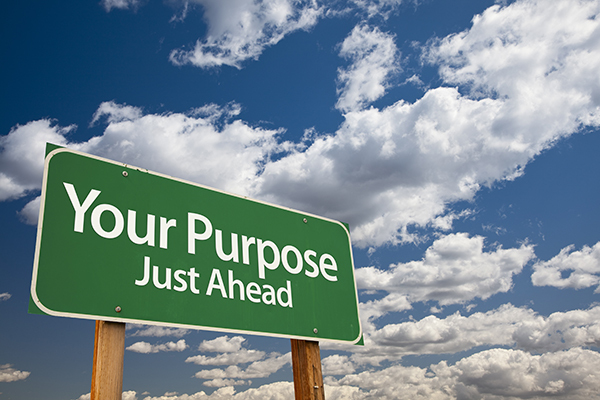 The following post makes keen observations and shares some valuable keys on how one may discover your life’s purpose. Enjoy the read and let me encourage you to visit Kato’s blog regularly for more insightful posts [https://katonkhoma.wordpress.com]. Better still, why not follow him?! Wow! I have no words to say! You are a real blessing. Thank you for sharing the message. P.S. You are a great word smith! I have now re-blogged this on my PDA site. Thanks for granting me permission. Thank you do much! Am so humbled! Thank you Aartia! I am also happy that you have found your passion! Life without passion is a nightmare!